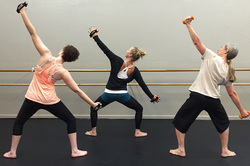 Hosanna Dance is pleased to continue our popular series of HD Fit dance for fitness classes. These classes are offered in three-month sessions with weekly classes. Styles include: Intermediate Tap, Pilates Total Barre, and Fluid Stretch. Classes are available in the day and evening. At Hosanna Dance, you will find uplifting music choices, professional instruction, and an encouraging environment where you can learn at your own pace. Wednesdays 9:00-10:00 am. Teacher: Jessie Newell. Tuition is based on the number of classes you register for. *You must pay for entire session at time of registration. 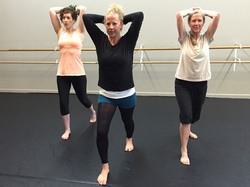 Dance for Fitness is a multi-sensory experience what is not just about getting fit, but also about educating your muscles and your mind.